Heat detectors have two main classifications of operation, “rate-of-rise” and “fixed temperature”. The heat detector is used to help in the reduction of damaged property. It is triggered when temperature increases. 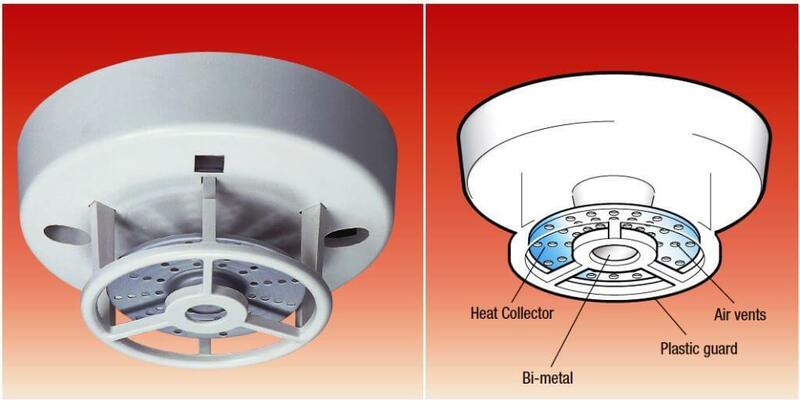 Fixed Temperature Heat Detector works when the heat exceeds a pre-determined temperature, the bi-metal deflects and closes the contact, triggering the fire signal. 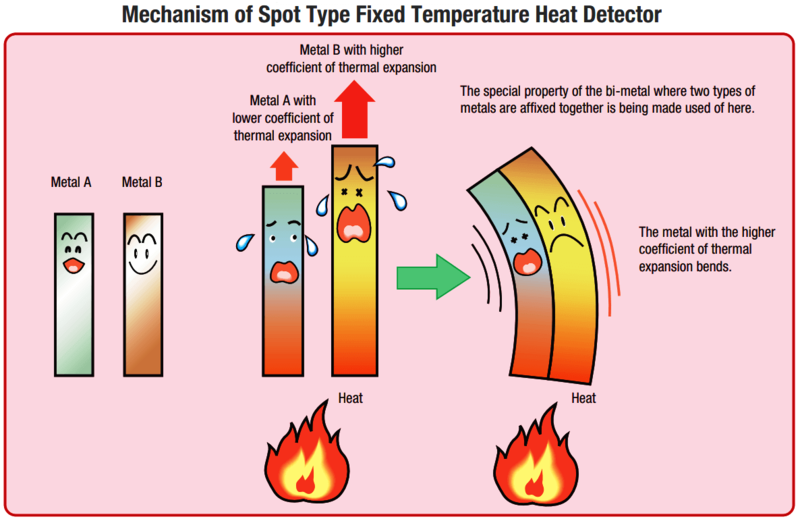 Typical fixed temperature spot-type detectors contain a bimetallic switch element that closes at a specified temperature limit. The switch is normally composed of two metals, each having a different temperature coefficient of expansion. As this bimetallic element heats the metal with higher coefficient of expansion, it causes the switch to bend or curve, closing the switch; thus indicating an alarm condition. Line type thermal detectors are cables that detect heat along their entire length. A line type thermal detector may consist of two wires that are separated by an insulator. After the heat builds to a certain level the insulation melts, allowing the wires to touch and current to flow, initiating an alarm. Bimetallic spot and coaxial style thermal detectors are self restoring. Fusible link and melting insulation types of line thermal detectors are not self-restoring. Why LEL important in Gas Detection?